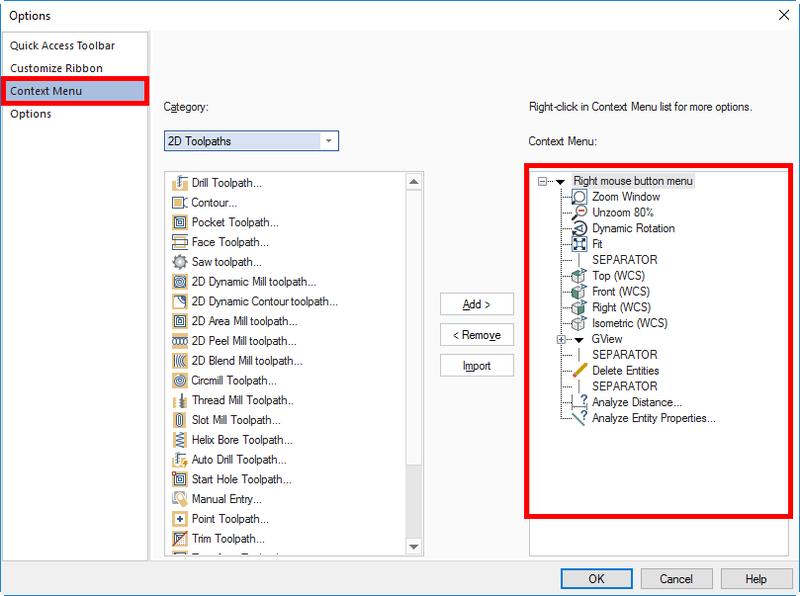 There are two ways to access the Right mouse button menu customization page. Select Context Menu. All items currently setup for the Right mouse button menu are listed. To add additional tools, select the appropriate Category from the drop down menu. Select the desired feature and select the Add button. To remove a tool, select the tool that will be removed and select the Remove button. you completely ignore the “IMPORT” button while explaining in detail everything else that common sense could figure out. 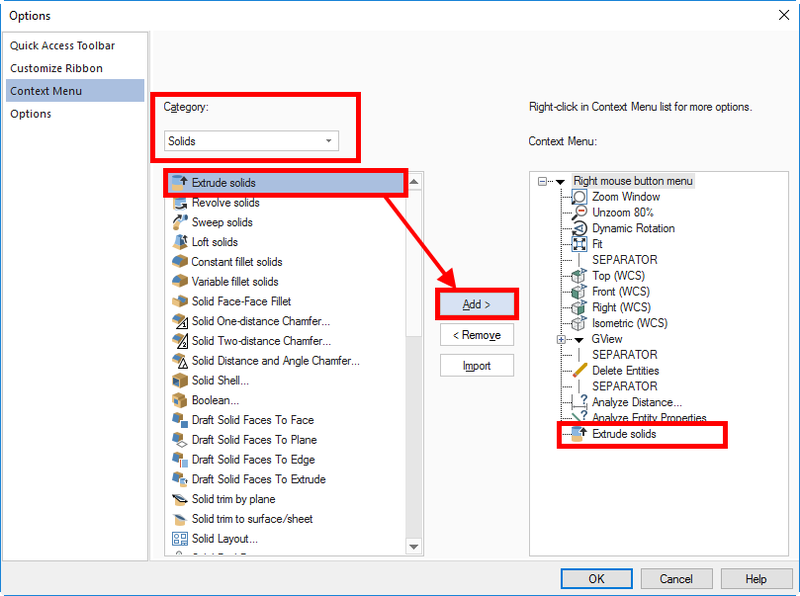 You can only import right click menu options from Mastercam2017 due to the Graphics interface change. 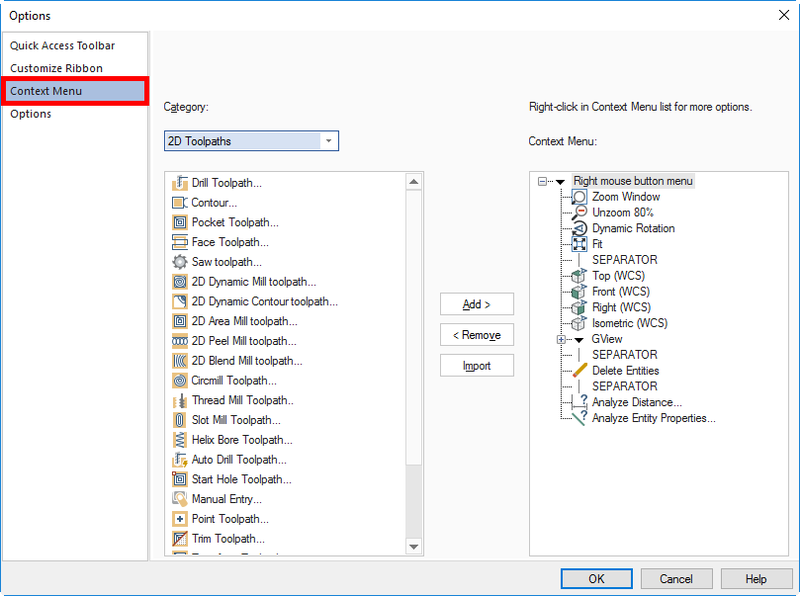 If you click import and select the “Mastercam.Workspace” file it will bring the Right mouse menu options as well as any interface changes you made in 2017.